If you are considering buying abroad, most likely you have bought a property or two before in the country of your main residence. As any other purchase, you should plan ahead and to help you calculate the costs and assess what is involved, you need to do your research. What ever your reason for buying is, you should do your homework. The reason for buying will determine which side of the property market you may want to concentrate on. For example, buying for investment purposes only, will require your concentration on annual returns and possible capital growth. If you are buying to have your own home aboard, you may try to research the local community to see if you personally will settle in quickly and easy. Talking to other overseas buyers is always a good idea, especially if they bought in the country that you are interested in. Internet is another good starting point, but you need to have eyes on the field in order to see the location, amenities and what is being sold. Most of us want to buy a property after we have visited the country. If you have not visited the country where you are tempted to buy, we strongly recommend to go and live there for a while first. There are few ways to get the feel for it, you can rent in the area you want to buy in, or you can visit a good friend. Choose for the right reason. If you are thinking about living in the country for few months a year, you may consider letting the property when you are not using it. 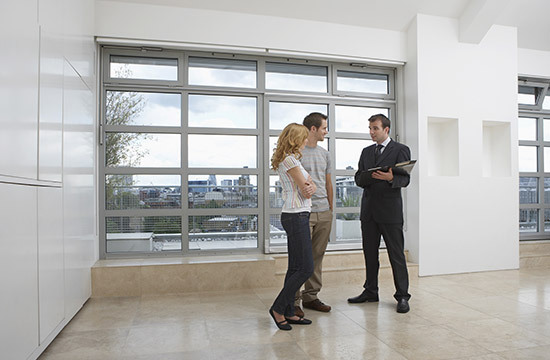 You will need to pay the agent, but your property will be looked after by a professional. Some people, do not want to rent their place, in this case, no one will be visiting the property while it is empty, so buying a property in a serviced development might be a good option, or you can just have someone checking on your property, to make sure that the roof is fit for purpose. Some people can afford to live abroad most of the year, in this case you would again consider other aspects, such as entertainment and community, they do say that “no man is an island” for a reason. If you want to buy off-plan, you should check the developer as much as possible, starting with developer’s track records, references and reviews. It a good idea to visit the site in person to ensure that the reality is matching the plans you were shown. In many cases developers are able to put things right if they are told so on time. Different countries have different laws regarding the ownership of property by non-nationals or non-residents. It is essential that you check and obtain all the relevant information before committing yourself. You need to know your rights about property ownership as well as understand related issues such as taxes and fees for registration. For example, while some countries don’t have stamp duty fees, many do have a system of taxes in place. Try to agree a flat fee with your lawyer at the beginning. However you should estimate that purchase can be delayed for any reason and any extra work usually have to be paid for, so again, ask the right questions for your cost estimation and budget for emergencies. Don’t forget that you can check whether there are any property lawyers in the UK who can assist you with your transactions abroad. UK-based qualified solicitor must be registered with the Solicitors Regulation Authority or you can use a Licensed Conveyancers This website might be a good checking point -www.lawsociety.org.uk. Ask your lawyer to make sure that the contract of sale explains the civil laws of the country where the property is located. You may need a dual contract of sale, meaning that the contract must be written both in English and in the native language of the country where you are buying. Check your “Exit strategy” in case you decide to sell. Before purchasing the property, request your lawyer to check if there are any restrictions which might restrict your ability to sell the property at a later date. Just as it would be done in the UK, check that there are no hidden taxes or fees involved in the purchase, that the property has a clean title and that it is free from any debts. Any property ownership may be shared by several members of the same family; your lawyer must check that all the owners have signed the contract allowing the sale to proceed with no coming backs. Have copies of all legal documents, especially the contracts. Make sure your lawers have the originals as well. Property purchases can be priced in the local currency. Please remember that exchange rates listed will not include bank charges. It's advisable therefore to base your calculations on a slightly lower figure just to make sure you have transferred enough. If you are transferring money from abroad we would recommend to send it to the local solicitor of your choice or to your own bank account with the local bank. Advice on both options can be provided free of charge.